Answering Muslims: Does Living in the US Radicalize Muslims? Does Living in the US Radicalize Muslims? We know that numerous people in other lands often demonize the United States and call for its downfall. This does not seem to be the case with the would-be Times Square Bomber. Well, not before he came to the US. This lends itself to the question, then: does living in the US radicalize Muslims? * Clearly, it radicalized at least one. Certainly, with groups like Revolution Muslim, it has great potential to radicalize many more. What is it about our nation that would set Muslims into a murderous fury against the West? 1 - Ease of Access to Muhammad's True Teachings. 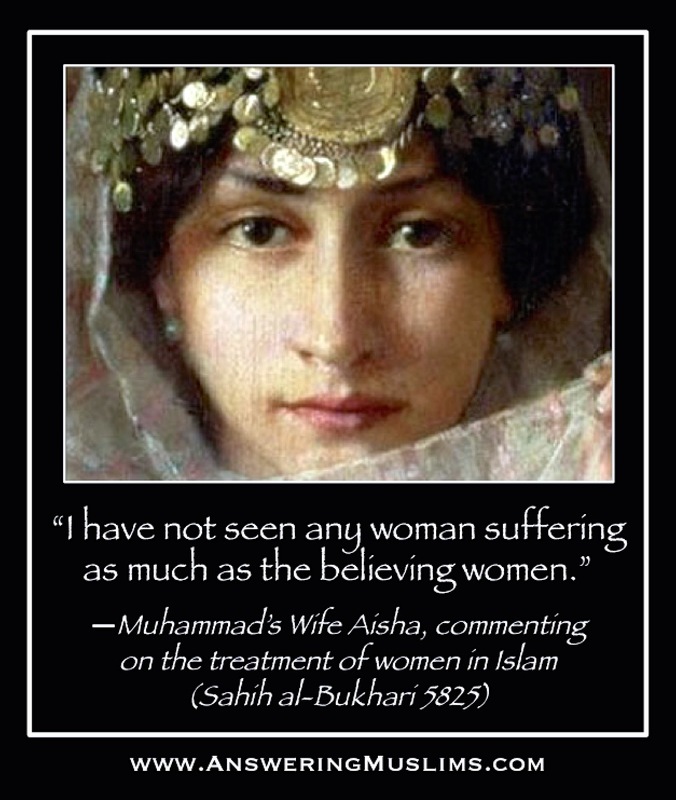 If it weren't for the internet and copious publications of historical source material, I would never have known the extent of Muhammad's teachings regarding the ultimate and violent conquest of Islam. My family and jamaat (sect or group) of Islam had taught me that Islam was peaceful and that Muhammad was the prince of peace. However, because I lived in the US, I was able to read what he actually taught: an initially peaceful message which transitioned to a violent one as Muhammad's status in society transitioned from a weak to a powerful one. Had this realization not aroused enough cognitive dissonance in me to question the truth of Islam, I may very well have been violently radicalized by concluding: "If these are Muhammad's teachings, I must follow them." 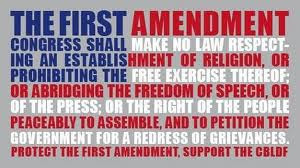 2 - Free Speech for Radical Muslims. If it hasn't become clear yet by watching Revolution Muslim and the profusion of protests in our very own country, people can say whatever they want to promote a violent Islamic perspective without having to worry about anybody quieting them. 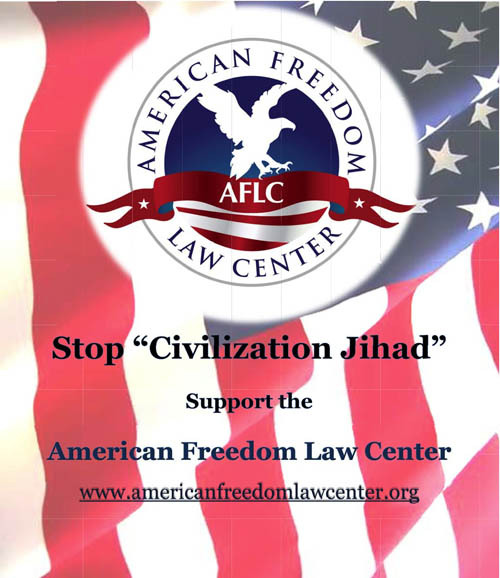 Though free speech is generally good, it fails to be good when it cannot be counterbalanced by free speech to the contrary; in this case, we need to be able to point out the dangers of this radicalization that is so freely being promoted by some Muslims. This leads me to my next point. 3 - Islamophobiaphobia. As I have indicated before, people are so scared of being labeled Islamophobic that they neither speak out against the dangers of radical Islam, nor do they lend their support to others who do. This leaves the free speech of the radical Muslims unchecked and unbalanced. Muslims who might be swayed not to become violent hear no opposing position because it's not allowed to be spoken by people like the authors of this blog without being labelled as hate speech. By my reckoning, these are three factors that lead some Muslims who come to the US to a point of radicalization. What are your thoughts? *By "radical" I do not mean a radical theology, as if only radicals would interpret Muhammad's message to be violent. I think any Muslim who gives the appropriate weight to Muhammad's teachings would conclude that violence is enjoined upon Muslims to advance the Islamic cause. Moreso I refer to a radical lifestyle, which would ironically be in line with traditional Islam. To the Muslim who has not achieved the 'American dream,' and sees the news from a Islamic propagandist side. Those who are picked on in the workplace because Islam is being demonized. The call to Jihad sounds appealing when you can wipe out your enemies and be rewarded for it. The media has latched onto the faith and his Pakistani identity of the allege Time's bomber. Aliou Niasse, a street vendor selling framed photographs of New York, said that he was the first to spot the car containing the bomb, which pulled up right in front of his cart on the corner of 45th street and Broadway next to the Marriott hotel. “I thought I should call 911, but my English is not very good and I had no credit left on my phone, so I walked over to Lance, who has the T-shirt stall next to mine, and told him. He said we shouldn’t call 911. Immediately he alerted a police officer near by,” said Mr Niasse, who is originally from Senegal and who has been a vendor in Times Square for about eight years. It is not living in US that radicalizes muslims but the teachings of quran. I was surprised that this question was floating on CNN that what makes the muslim US citizens to act in aggression against eh fellow US citizens. Either they do not know that quran tells them to fight, kill and terrorize or they r trying to be politically correct. Other day the clip on this website showed the US american warning about terrorizing and even to the extent of saying that if i attack your home like according to him US is doing in Iraq and Afghanistan. Times are dangereous but Jesus said do not let ur heart be troubled and He also said that i have overcome the world. Stay embedded in Jesus and keep on following His commands so that we also overcome the temptations when we face them. 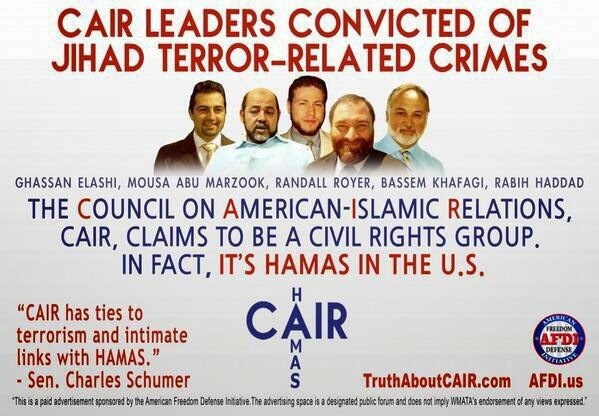 i have the answerer for Y MUSLIMS R RADICALIZED IN THE US. u see coming from a muslim country u dont get to c the world in reality. u only see it on tv and hear about it on the news. well thats y imigrants come over seas to experience. for muslims it different cause they arent used to the habit of north american cause they r so much used to being properly adoubted to their own ismalic culture and the rituals. So they try to change the people in north america. ( terroists threats ) is a big part to scare innocent people. and also sharia law will definitly ur other chance to force the people to change their ways and thinking. It's great that a Muslim is originally responsible for alerting the police. Although, I have to argue, I would be shocked if a Muslim saw a suspicious, smoking car next to his stall and decided NOT to alert the police. In other words, the man was just acting in self-preservation (no blame to him, this is what we would all do.) There's no special credit here to the fact he was Muslim, Christian, or anything. Now if this Muslim had acted self-sacrificially, endangering himself for the sake of others, especially if those others were Christian, that would be something worth noting and lauding. Kind of like what this Christian did in Pakistan last year, sacrificing himself for the safety of Muslim girls. Assuming what you say is accurate, can you show us from the Quran and Sunnah where a Muslim is supposed to side with non Muslims and turn them in to authorities of a kufr system that has no Islamic warrant for it's existence? No reasonable person doubts that there are peaceful and altruistic Muslims in this world. What we doubt is that following Islam creates peaceful and altruistic people. The Muslim did a good deed.He could have just run away.I do not think he thought that he had to tell somebody or else HE would be suspected of the trouble. Now the only Muslim group in the world really,from who nobody has to fear is the Ahmadiya group,since they have rejected armed jihad and teach their children to reject it.Their founder categorically rejected violent jihad. The only real scientific genius to appear in the Muslim world in 600 years was ABDUL SALAM,from Pakistan,an Ahmadiya.And yet this peaceful group is cruelly persecuted in Pakistan. All very insightful points! I would possibly add to that list the increased weight of sin precipitated by sudden access to the decadence of Western culture. Many immigrants from predominantly Muslim countries are overwhelmed by the easy and permissive access to things that are sins in Islam. Having been raised in countries where such things are prohibited by the government, they do not develop internal controls against such behaviors. Then, when they are overwhelmed by the guilt and burden of their sins, the tremendous ajar promised for Jihad becomes a compelling incitement to violence. Perhaps I'm off-base here, but this has always been a key part of my theory of why Muslims emigrate and then "revert" to fundamentalism. Just a little quote from the Quran, the holy book of the Muslims. “…if any one killed a person, it would be as if he killed the whole of mankind; and if any one saved a life, it would be as if he saved the life of the whole of mankind…” - The Holy Quran (Chapter Five, Verse 32). I dont' agree with Nabeel's surmising. Britain is similar to the US...we have access to the internet and source materials too and we have a population of about 2m Muslims here in the UK...how many have been radicalized??? A couple of handfuls??? What is the percentage based on total Muslim popn in the UK?? It hardly backs Nabeel's assertions up, the same applies to the US Muslims, how many have been radicalized as a percentage of total Muslim population in the US. From what I see in the UK, Muslims are contributing greatly to our country; in fact itwas only yesterday a non-Muslim gentleman told me of his relief to be living in a MUSLIM area in London...he felt the Muslims were people he could trust and felt secure around!!! I have seen countless examples in the UK of non-Muslims respecting the way Muslims conduct themselves...Nabeel's theory on radicalization seems to be wishful and fanciful on his part. As for Islamophobiaphobia??? What in the world is this??? Is it similar to "Christianophobiaphobia" or "homophobiaphobia"??? You again seem to miss the mark. I'm not saying all Muslims get radicalized, or even many - I'm simply wondering what the reason is for the ones who do get radicalized. Start reading more carefully before criticizing. I got a post for you. In regards to your point, again - I don't think patriotism, nationalism, or any of those things entered this man's mind. He was saw a threat and responded to it. That he didn't act like a coward and run without telling the police is commendable, though I think that would have aroused suspicion against him if he had. This man reacted appropriately, and I'm glad he did. from the Quran, the holy book of the Muslims." S:5.32 For that cause We decreed for the CHILDREN OF ISRAEL that whosoever killeth a human being for other than manslaughter or corruption in the earth, it shall be as if he had killed all mankind, and whoso saveth the life of one, it shall be as if he had saved the life of all mankind. Our messengers came unto them of old with clear proofs (of Allah's Sovereignty), but afterwards lo! many of them became prodigals in the earth. 33 The only reward of those who make war upon Allah and His messenger and strive after corruption in the land will be that they will be killed or crucified, or have their hands and feet on alternate sides cut off, or will be expelled out of the land. Such will be their degradation in the world, and in the Hereafter theirs will be an awful doom;"
Just putting these ayats into the right context. So, v32 for Israel, and v33 for Muslims who should obey Allah and Muhammad. What does it mean when it says; "The only reward of those who make war upon Allah and His messenger?" i dont believe in that quranic verse. how ever i do believe that verse meant for the people in that time period and i also believe it was meant for between muslims people. mohammad clearly commands to fight the unbelievers. WHAT PART OF THAT VERSE DONT U UNDERSTAND? maybe u sud go to jihadwatch.org and c what dr robert posts on it everyday. today SOMALI JIHADIST EXECUTES MAN SUSPECTED OF BEING A CHRISTIAN. how many more can u condemn? just read and look at all the articles pop up NOTICE THE MEDIA IS NEVER THERE. u will only notice em on limited online pages and foreign newspaper and etc. im sure tomorrow a suicide bombing will take place. i've grown up in pakistan. i went to pakistani schools till i was 18. i moved to the uk for a couple of years for higher studies. not getting into a life story here, but in my around 15 years of schooling in pakistan, i NEVER, EVER came across anyone who tried to teach me about "jihad". my first year in the uk; i got stalked by a group of guys who claimed they were from the hizbut-tehreer, pushing me to join their cause, insulting me for being a "hypocrite muslim" for having christian and hindu friends. Interesting comments. Thanks for sharing some personal experience. Hizbut-tahrir is banned in much of the Muslim world (Pakistan as well if I'm not mistaken). Kind of an unfortunate irony I think. Even Quran 5:32 is the copy of almost identical verse, and not even from Torah but from rabbinic Talmud!